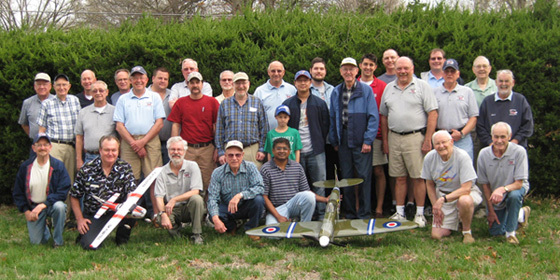 The purpose of Jayhawk Model Masters is to promote the building and safe operation of radio controlled (RC) model aircraft. In addition, we strive to fulfill our civic responsibility to the community, and support worthwhile projects. Everyone is welcome to visit our airport! Clinton International Model Airport is one of the finest model airports in the Midwest, and the club members enjoy sharing their love of building and flying. At the very least, stop by the field when you see planes in the air and watch for a while. You can also visit via our Weather Station and Webcam. Our club meetings are open to the public and are held on the third Saturday of each month. Breakfast starts at 8:00 am and the meeting at 9:00 am. We meet in the Smith Center at Brandon Woods, 4730 Brandon Woods Terrace, in Lawrence, Kansas. We also publish a monthly newsletter. 2 blocks east of Wakarusa on Brandon Woods Terrace.